Lock in a great price for Kastro Hotel – rated 8 by recent guests! The hotel was nicely appointed with little snacks available in the lobby. It has been updated over the past few years with modern bathrooms and additional soundproofing. A complimentary drink and breakfast was included. The staff were helpful and there was free underground parking a few hundred meters from the hotel. Good location, close the harbour and restaurants. Good view from the balcony, but unusable because of the wind. everything, a gem of an establishment, the views from the room were breath taking, George was entertaining and hospitable and his partner Nikki the same, the bar and surrounds are old school and the furnishings top class, We had a very good breakfast sitting on the veranda looking out on the harbour . Hope to return one day. Nici and George, a lovely old couple, are great hosts. Running the place completely alone. Perfect location with wonderful harbour view. Very charming old style rooms and facilities. Very helpful stuff, beautiful landscape from the balcony. 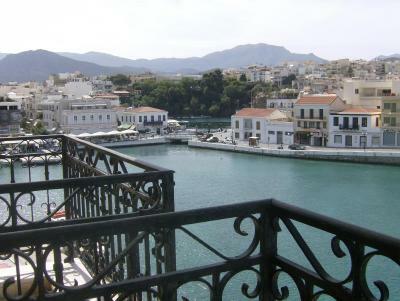 Good location, views and sea breeze on a gigantic balcony (4th floor). Good Greek coffee however ice-cream was a letdown. I was on vacation with my girlfriend and we stayed at Kastro for 2 nights! Unforgettable! The old man and the old lady were the cherry on the cake! We really enjoyed their hospitality! What a fantastic find. Don't go here if you are after all the mod cons because that isn't what this hotel is about. This is a traditional hotel with traditional furnishings etc and with absolutely stunning views of the harbour and Lake. It is run by an old couple that cannot do enough for you.we were lucky enough to get the top floor apartment and the balcony was huge. This little hotel is in a great spot, right in town. It's NOT fancy... The rooms are basic Greek...white. old style but clean and comfortable. Fabulous small balcony with view over harbour. Nikki and George are a lovely elderly couple of own it.....and very helpful and friendly. Kastro Hotel This rating is a reflection of how the property compares to the industry standard when it comes to price, facilities and services available. It's based on a self-evaluation by the property. Use this rating to help choose your stay! 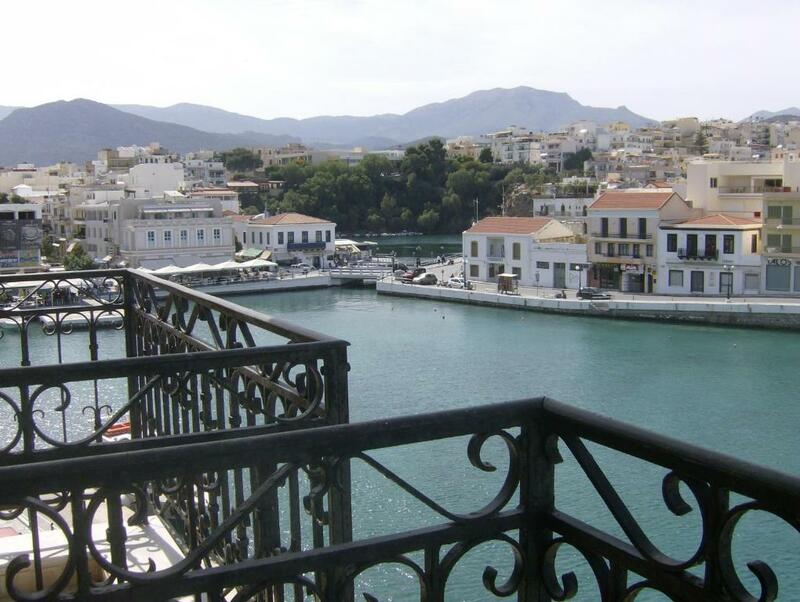 Right at the entrance of Agios Nikolaos’ port and 350 feet from the beach, Kastro Hotel offers rooms with views of the Mirabello bay. 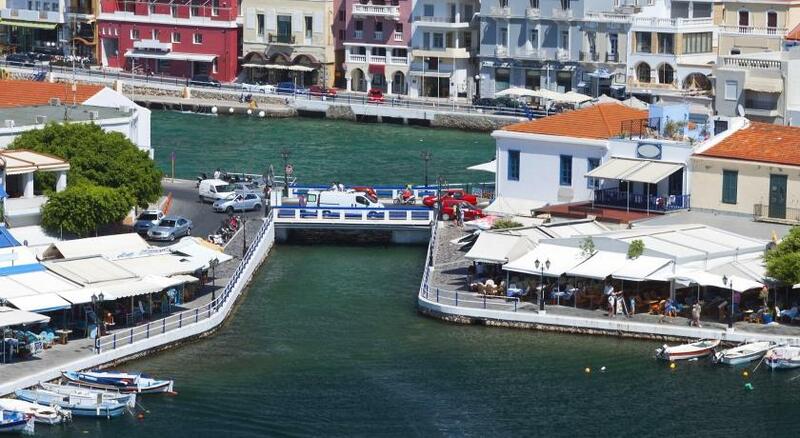 Nearby natural attractions include the Agios Nikolaos' Lake. The traditional rooms have balconies with panoramic views to the Lake, the little harbor and the majestic Mirabello Bay. Main features include air conditioning and a kitchenette with a mini fridge, kettle and kitchenware. Guests can start their day with a Continental breakfast. The sea-view bar restaurant serves a continental breakfast, crepes, pizzas and many more. Kastro Hotel features a small seating area where guests can relax, read a book or watch TV. Kastro is 43 mi from Heraklion International Airport. Staff at the front desk can assist you with taxi service and car hire. Free public parking area is available close to the hotel, and the bus stop is at 650 feet. When would you like to stay at Kastro Hotel? Air-conditioned room offering a balcony with panoramic views to the little harbor, the majestic Mirabello Bay and the lake. This double room features a balcony, air conditioning and kitchenette. This quadruple room has a balcony, electric kettle and air conditioning. House Rules Kastro Hotel takes special requests – add in the next step! 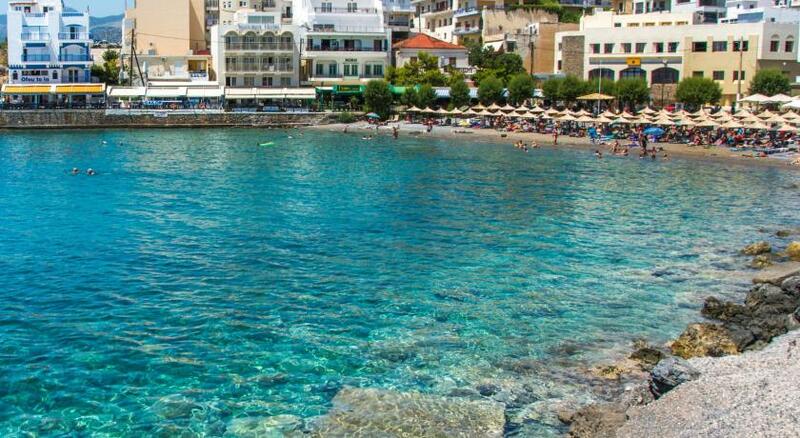 Kastro Hotel accepts these cards and reserves the right to temporarily hold an amount prior to arrival. Please note that a continental breakfast is served at Kastro Hotel. For us it was all that we wanted, if there is something to be aware of it is that one entrance to the hotel is in a dingy cul de sac and we wondered what lay ahead !! Bathroom smelled funny, prob due to old plumbing. Bed bugs and mosquitoes but kind of normal. Bathroom shower tray took a while to drain. Quite expensive per night we paid 41€ but it's obvious in that small popular town. Worn out, old hotel which should be renew. Parking issue. The decore is very dated, would benefit of at least a little refresh unless the owners want to preserve the late 20th century Cuban era feel ;). One thing we found very dissapointing is that the air-condition in the room was not working - no cold air when the hot temperatures soared +30C. Some might find a bit inconvenient close proximity to bars/clubs that lead to loud music even around midnight. Parking facilities are limited. If you are lucky you may get a spot behind the hotel otherwise there are car parks reasonably close by. The front door is locked in the afternoon....so access is through the rear door....which is a climb up a hill.....bit difficult with heavy water bottles etc. Be warned, if you have a room at the front.....there is Club " music"....and I use the word lightly.....until 6am some nights.! But by closing the doors and having the aircon on.....all you could hear was a constant base thumping, all night. Bearable. George and Niki close the ground level coffee shop/restaurant which also serves as an entrance to the hotel every day between 2 and 7pm so you have to walk up into the back lane to let yourself in. The coffee shop/entrance also closed every night at 11pm. So if you're back later than that it means a walk uphill in the back lane to the hotel entrance to let yourself in. Run by a lovely old couple who are just beautiful. Happy and very helpful. More like a B&B. Facilities are basic but very clean. Spacious rooms. View is phenomenal! Niki's (the wife) cooking is fantastic but they only offer breakfast, then crepes and sweets for the rest of the day. Value for the price is very very good. Parking is very difficult. We enjoyed our stay and meeting George and Niki. This hotel needs an update in its interior and its amenities. The rooms and everything got stuck in the 1970s. If the bathrooms and rooms would be deep cleaned more regularly (pretty dusty place and the tub is not shining anymore, the only really clean thing were the sheets), the old amenities would not really bother me. Despite the old infrastructure, everything you need is there. The only thing that I really missed was a hook to fix the shower head to the wall, so it can actually be used as a shower, without having to hold the shower head the whole time. In our friends' room, there was also no shower curtain which makes a quick shower impossible. Apart from that the tub in our room was leaking a bit, so the floor got wet everytime someone showered. The hotel has no wifi in the rooms and downstairs it's very weak and slow too. This isn't very contemporary and should be changed - especially for international travellers. The hotel wishes the payment at check-out in cash which is not so great if you have to pay for withdrawing money at ATMs. A very central place with great views. Everything you need is close by. The elderly couple who runs the whole hotel and café is just the cutest ever and is there for all questions! The breakfast is rather simple (toast bread slices with one fried egg and jam, a hot beverage and an orange juice), but good. The sheets & bed were clean and the AC works very well. There is no reception, but a number to call and George (the owner) will come within 5 minutes to let you in.